While I agree that race relations should be taken seriously, I also believe we should learn to be objective and analyze situations properly before jumping on the bandwagon. I believe we must first search within ourselves, in other words, take the spec out of our eyes before taking the log out of another persons eye. I am sure most of you are familiar with LA Clippers Owner Donald Sterling, and the situation that has kept his name in the press for a few weeks now. I for the most part, have followed this story and every time I listened to a news report or heard views, I was left with this nudging feeling that most of the media houses just went in, they jumped on the band wagon of what the viewers EXPECT to see in such a situation, and in the process, failed to do their duty of providing an objective view of things. Race relations almost always swings one way, the “bad” guy vs everyone else. Even people who feel the same way as the “bad” guy will crucify him publicly because that’s just the “smart” thing to do. Nobody wants to be caught up in the court of public opinion for siding with the unpopular view. So the NBA decided to fine Sterling and take his team away from him. Personally, I believe penalizing Sterling will not change him or his views. It may teach others to be careful of what they say privately, but it does not remove what is already inside them and one thing I have learned about race relations and stereotypes is that views are mighty hard to change. Most times, change comes from a conscious effort made by that person. When I dig deeper into the scope of things, I am left wondering, if you feel a certain way about a certain race/tribe/religion/sexual orientation (oh yes the list is long because it is not about race alone), as long as you are respectful, you don’t impose your views, or make anyone uncomfortable about your views, should you be in trouble? If a tape recorder was planted in a lot of homes worldwide, would a lot of people come out spotless? While I do not agree with what Sterling did/said, my only issue with this public court of opinion is that he said them in confidence to someone he thought he could trust. While it still doesn’t make it right, I want to try to put my sentiments aside and look at it from both angles. Since when did people start getting penalized for what they say privately. If we all faced a jury for our private thoughts or utterances, wouldn’t a lot of people be found guilty? I believe in dealing with such a sensitive issue, what the media should have been more focused on proving to us is that he has publicly imposed his racist views on others. They should have focused more on the following questions; How does he treat his players? Yes, I really want to know. How does he relate with people of a different race? Does he maltreat people because of the color of their skin? Does he blatantly show the world he is a racist in everything he does? These are all things the media just did not focus on as much as they should have and that for me left a lingering question every time I listen to that audio. It left me asking myself are these the words of a racist or a frustrated old man who was tired of his half black/half latina girlfriend flaunting her much younger black boyfriends in front of him. Does a racist even date outside his/her race? Would most of the people criticizing him date or marry outside their race? If they don’t, does that make them racist even if they do not verbally utter words that imply that they are? The lines are just so blurred. What exactly was his issue with Magic Johnson because the more he spoke, the more you realize his outburst was triggered by jealousy. Why is V.Stiviano even getting the attention she craves? Should the right thing to do be to ignore her? We have come a long way when it comes to race relations. We should be careful in our attempt to point finger not to take two steps forward and ten steps back and I will explain why. When the news of Donald Sterling broke, a lot of celebrities aired their views. One notable one was Snoop Dog who in his statement called Donald Sterling a Redneck. Isn’t that a racist slur? Why was it ok for Snoop to call someone a redneck on national TV but gets angry at Sterling’s mans comments that were made offline. How is he any better than Sterling? We may not be able to fix a man as old as sterling but it is not too late to fix us. When I was in high school, one of my Puerto Rican friends would get annoyed when anyone mistook him for a Mexican? One day I decided to ask him what was the big deal. Let’s just say any person from Mexico who heard his reply would not have been happy. Ironically our other good friend was from Mexico and they got along just fine. Another irony is that people like my high school friend exist everywhere. Like Micheal Jackson implied in his hit song “Man in the Mirror” look at the man in the mirror, and that’s where change starts from. The world can be a better place but it starts with us. There is a little challenge to that however, we all won’t agree on the same things. 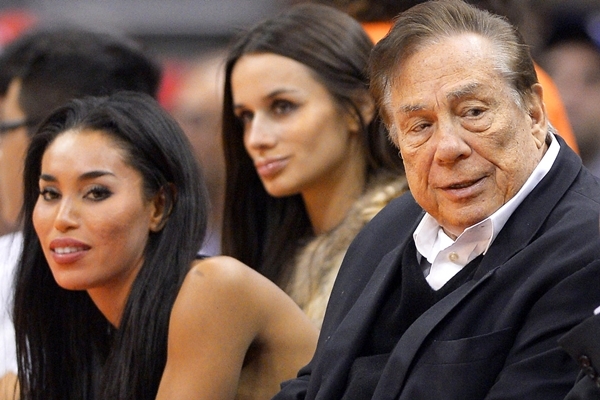 Is Donald Sterling a racist? Is Snoop Dog a racist? Are you a racist? Are many of us the pot who is fond of calling the kettle black? These are questions I would like you to answer by yourself. Next If a woman hits a man, should he hit her back? Whether he is or not, there’s nothing Donald Sterling can do now; he will forever be labelled as a racist.